Spring training is almost upon us. I can almost see you rolling your eyes. But it's no surprise to those who know me that I love baseball. I also love history, and reading and writing about strong women in history. Reading and writing about historical women and the things they've accomplished inspires me as a writer, so I'm always on the lookout for articles about interesting women in history. Today I'm giving you a mash-up of baseball and a strong woman in history. When these two elements collide we get Amanda Clement, baseball's first female umpire. Differing accounts have Amanda at sixteen or seventeen when her career began. Whichever the case, she was young. Stories also differ on where she got her start. Was it at the baseball field near her house? Or at a game she traveled to with her mother to watch her brother play? It was also either 1904 or 1905. Nevertheless, the regular umpire didn't show up and there wasn't another umpire available. Amanda, who sometimes was allowed to play baseball with her brother, was asked to fill in. This would suggest she had quite a bit of knowledge about baseball. 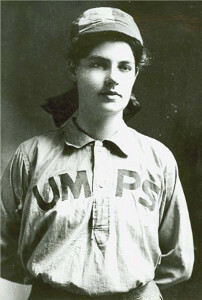 Amanda umpired for semi-professional baseball for six years, where she earned a reputation as an eagle eyed umpire who seldom made mistakes and reportedly inspired players to behave like gentlemen. She also earned enough money to put herself through college where she played baseball, tennis, participated in track events, and possibly even gymnastics. Not only did Amanda work her way through college by umpiring, she is rumored to have turned down over sixty marriage proposals from baseball players. Oh, and by the way, she never umpired on Sundays. She went on to become a teacher, a coach, and a social worker. And an article in Sports Illustrated says she taught ballet to the University of Wyoming football team during World War I.
I'm not sure which part of that last statement intrigues me more. The image of Amanda, the young woman who turned down dozens of marriage proposals and inspired rough and rowdy men to play baseball like gentleman, teaching ballet to college football players. Or the image of college football players learning ballet. Either way, Amanda Clement was a unique and interesting character. And isn't that what we writers most look for in our characters? 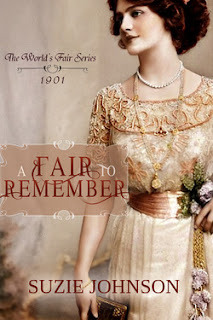 thanks so much for sharing it DeAnna,and it's always nice to see an Inky book cover! I'm a big fan of this era, too. I thought it she was fun to read about. Haha. You ladies are so funny. And I almost forgot DeAnna likes hockey as much as I like baseball. Love posts like this! Thanks, Suzie.